Plastic Can Be Dangerous for Your Teeth! If you use refillable water bottles or plastic food containers, your children may be at risk! A new study shows that being exposed to chemicals in these plastic objects could weaken the teeth of children. These chemicals degrade teeth, because they interact with the hormones that create tooth enamel (the outermost layer of the tooth). Because enamel is not a bone, it cannot regrow. Therefore, any damage done to the enamel is irreversible. Some chemicals commonly found in plastic containers include bisphenol A (BPA), which disrupts hormones, and vinclozolin, which is used to destroy fungi in vineyards, orchards, or golf courses. Phthalates also interefere with hormones. 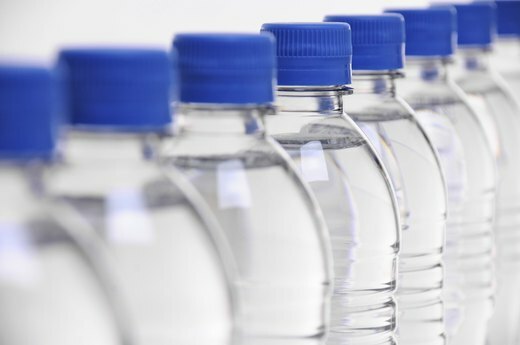 Another potentially dangerous chemical is polyethylene teraphthalate (PET-type 1), which is usually in juice, salad dressing, water, peanut butter, or mouthwash containers. This chemical contains antimony, which has the potential of being a human carcinogen. It is advised not to reuse this type of plastic. Polyvinyl chloride (type 3) should also be avoided. 18 percent of children between the ages of 6 and 9 experience molar incisor hypermineralization (MIH), a condition affecting the enamel that causes there to be sensitive spots on the first permanent molars and incisors. Scientists have proven through experiments with rats that MIH could be caused by exposure to BPA. The expression of the genes responsible for tooth enamel mineralization was altered after the rats were exposure to the chemical. There are however some safe plastics, including high-density polyethylene (type 2), low-density polyethylene (type 4), and polypropylene (type 5).